Esther's story in ancient Persia is filled with risky twists and turns and often perilous outcomes. How will God use this situation to care for his people and bless others? Open the book of Esther, and you step back in time to ancient Persia around 480 B.C. It's a time of kings and queens in a vast empire covering most of what we know as the Middle East today—and beyond. 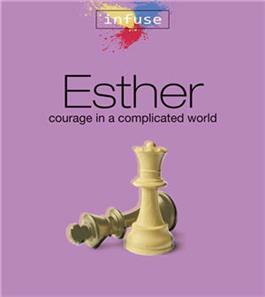 Esther's story is filled with risky twists and turns, happy and fearful moments, dangerous and deadly outcomes. What's more, it shows us God's deliverance and care for his people. Scattered throughout the world, the Lord's followers trust that God will keep his age-old promises to make them a great nation and to bless others through them. As you look into Esther's story, keep an eye open for the presence and work of God, who watches over and cares for his people always.